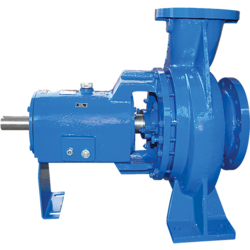 Our range of products include centrifugal process pumps with semi-open impeller, centrifugal motor pumps and industrial centrifugal process pumps. We are engaged in manufacturing a wide range of Centrifugal Process Pumps with Semi-Open Impeller. 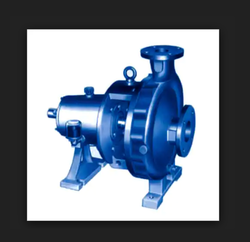 These pumps are manufactured from the quality raw material such as iron by using the latest machines and technologies. Centrifugal process pumps are used for large discharge through smaller heads. Cast Iron & special Alloy Cast Irons, SG Iron / Ductile Iron. 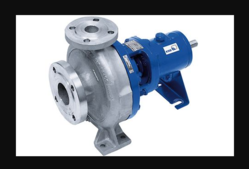 We are engaged in offering a wide range of Centrifugal Motor Pumps, we offer these pumps as per client requirement with market leading prices. These pumps are highly demanded by our client for their quality and specifications. Bronze / Aluminium & Various Non Ferrous Alloys. Pumps are as per DIN 24256 and ISO 2858. The design is of back pull out type. Large variety of models are available to operate at 1450 rpm and 2900 rpm at 50 Hz and 1750 rpm and 3500 rpm at 60 Hz. The casing has axial suction and top center line delivery. Smooth hydraulic passages ensure high efficiency. Normal design is for foot mounted pumps. Impeller : The impellers are of enclosed type and semi-open impellers can also be supplied. Hydraulic balancing of impellers is achieved either by back wearing. The impellers are statically and dynamically balanced. Shaft : The shaft is supported by two antifriction bearings to take residual axial thrust and prevent axial float or radial run out. It is fully protected from the liquid handled by means of a shaft sleeve and PTFE gaskets between impeller nut, impeller hub and shaft sleeve. Stuffing box : The stuffing box is sealed by gland packing or by mechanical seal. Conversion from gland packing to mechanical seal is achieved by changing some standardised parts. Re-machining of stuffing box is not necessary. Bearings : The bearings are oil lubricated. Direction of rotation : Clockwise viewed from driving end. With firm commitment to quality, we are engaged in offering Industrial Centrifugal Process Pumps. Our pumps is designed as per international quality standards.Our pumps are used in a variety of industrial applications. Widely used for chemical, petrochemical, textile, food etc. Constructional features : Pumps are as per DIN 24256 and ISO 2858. The design is of back pull out type. Large variety of models are available to operate at 1450 rpm and 2900 rpm at 50 Hz and 1750 rpm and 3500 rpm at 60 Hz. Casing : The casing has axial suction and top center line delivery. Smooth hydraulic passages ensure high efficiency. Normal design is for foot mounted pumps. Looking for Centrifugal Process Pumps ?